BBC coverage: Watch on BBC Two, Red Button, BBC Sport website, Connected TVs, tablets, mobiles and app from 28 November. Full details. 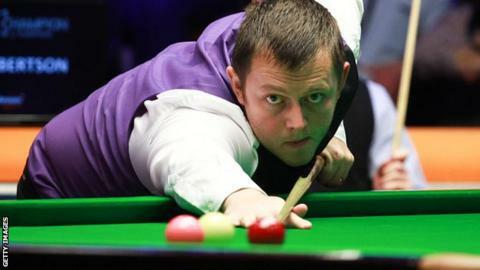 Mark Allen lamented his safety play as he lost 6-4 against Martin Gould to miss out on a last-16 UK Championship match with fellow countryman Joe Swail. The Northern Irish world number 10 took the opening frame and then led 2-1 after a brilliant 107. But Gould's fine long potting and impressive safety shots helped him take control as he fought back to lead 5-3 before closing out the win. "I have no complaints. Martin's safety won him the match," said Allen, 29. "It was a pretty good match. We both looked like we would score when we got in but he was creating more chances. "His safety was better and it's definitely an area I need to improve on. "I like I didn't compete at all in the safety department and could have still got a decider out of it. "I know I am better player than Martin when I play my best but I wasn't at my best. He is more than capable of beating me if I am not at my best. "I definitely didn't play bad. He was the better player on the day. "I need to work hard on the safety side of my game because the rest of my game is coming together nicely." Gould now faces veteran Swail, conqueror of Michael Holt, in the fourth round.